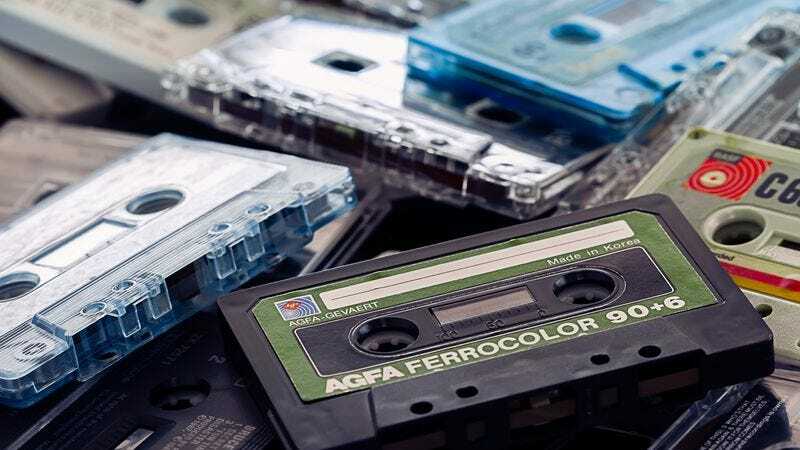 Urban Outfitters is venturing even further into the world of semi-anachronistic media, having announced Tuesday that it will soon begin carrying both cassette tapes and “retro” cassette players both online and in select stores. The move makes a bit of business sense, considering the recent uptick in cassette sales and the number of bands actually releasing material on cassette, though the vast majority of Urban Outfitters shoppers will probably see the tapes as less of a way to ingest music and more of a ’80s throwback novelty. Several bands have already signed up to release exclusive tapes via UO, including Run The Jewels, Halsey, and Marina & The Diamonds. The store says it will also carry cassettes by bands like Beach House, Action Bronson, American Football, Japandroids, and Muse. The list of Urban Outfitters stores carrying cassettes is below. Select Urban Outfitters locations in Los Angeles, New York, and Omaha will also be participating in Cassette Store Day, which takes place in “fun” stores all around the world this Saturday, October 17.